By 2016, the number of travelers booking on mobile devices is predicted to nearly double, according to eMarketer. In fact, the U.S. mobile travel market is growing much faster than the online travel market overall. 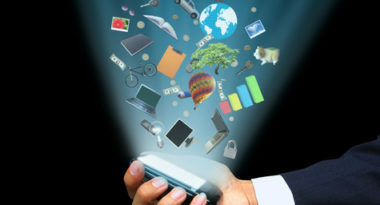 HotelMarketing.com reported on mobile’s major momentum in the hospitality industry. This year alone, 16 million Americans are expected to book travel on their mobile devices, which is an increase from nearly 12 million travelers last year. That number is predicted to soar to 36.7 million mobile travel planners by 2016. In addition, almost 38 million travelers will use their mobile devices to research and compare travel options without necessarily purchasing this year. By 2016, that number will double to 74.3 million. While mobile booking is making major gains in the hospitality industry, online travel planning in general remains popular with the majority of Internet users. This year, 120 million U.S. adult Internet users are expected to do online travel research, with 98.3 million booking through the Web. By 2016, those numbers will rise to 134.7 million travelers using the Web for hospitality research and more 111.5 million reserving their hotel rooms online. To learn how to incorporate mobile marketing strategies into your hospitality marketing, contact MDG Advertising today at 561-338-7797 or visit mdgadvertising.com.